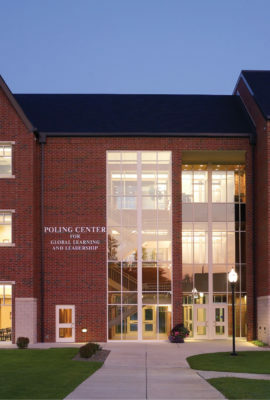 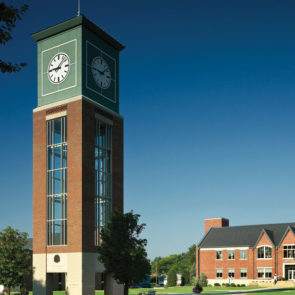 The Poling Center for Global Learning and Leadership connects future business leaders and entrepreneurs with the same environments and technology used in the real world. 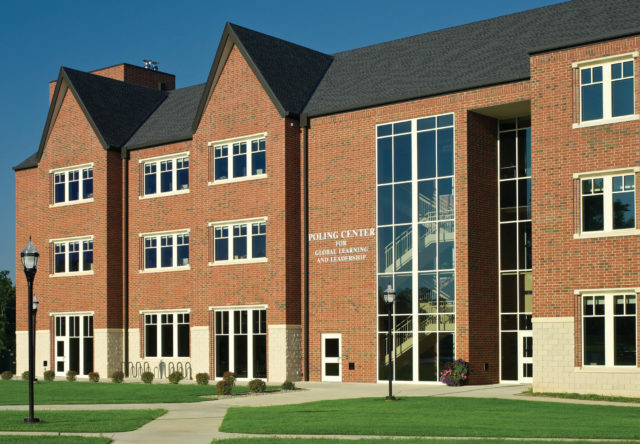 The building is designed to act as a place for students young and old to develop their leadership skills and to prepare for a challenging job market. 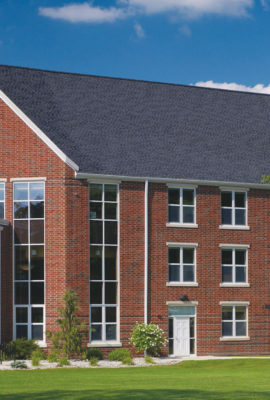 The three-story building houses the Gainey School of Business, the Hosmer Center for Entrepreneurship and the social science department. 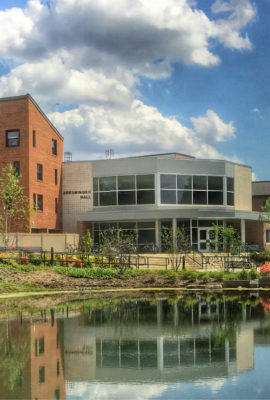 The facility consists of 12 classrooms, two collaborative learning areas, a café and lounge area for students, plus faculty offices and a faculty lounge. 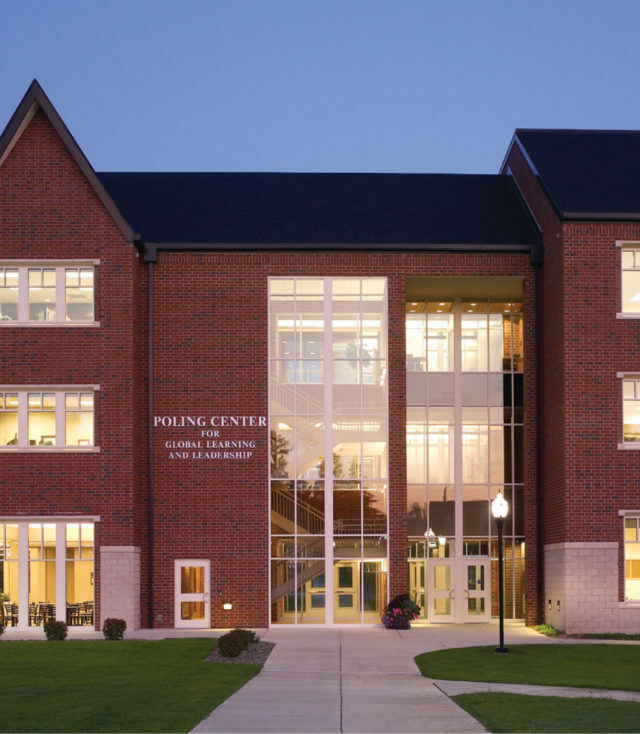 A major contribution from CP Federal Credit Union resulted in a Trading Center Simulator where students have access to the same programs and systems used on Wall Street. 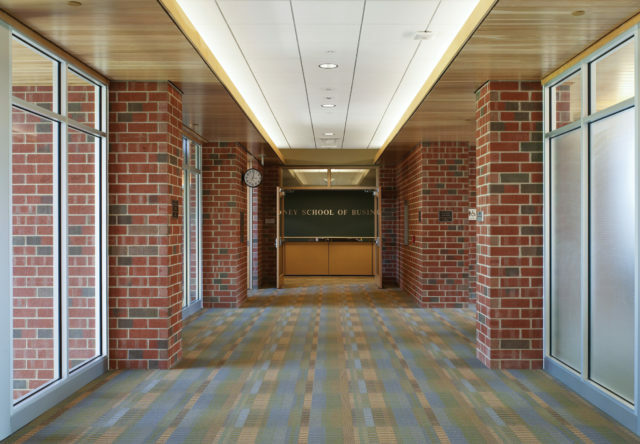 The commons of the building acts as a lobby and breakout space, accommodating everything from large seminar classes to business workshops. 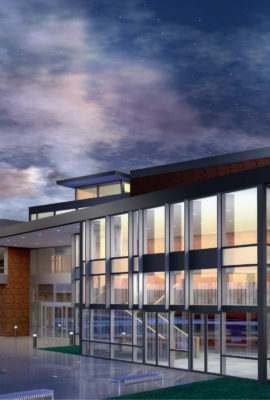 The second and third floors are virtually identical, with a monumental stair acting as a link between an open office wing and a classroom wing. 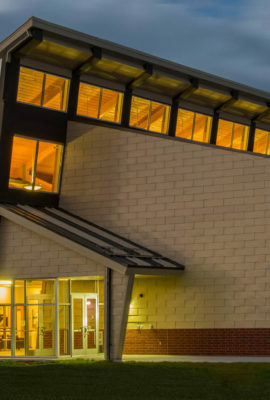 The building consists of 12 classrooms, two collaborative learning areas, a café and lounge area for students, plus faculty offices and a faculty lounge. 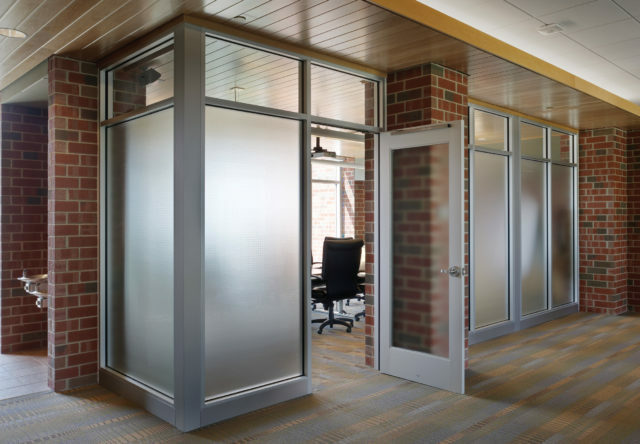 Classrooms feature integrated technologies, including interactive whiteboards and wireless connectivity.